← Packing was always a good time. Superb stuff. It’s still one of the best openings in literature, that. Whereas your piece ends perfectly. Beckett was bonkers. One of his plays, ‘Breath’, is (apparently) the shortest play ever written. It’s usually performed as a man, on stage, who takes a big breath – as if he’s about to say something – and then it ends. Just wanted to say how much I enjoyed the review. May well re-read when I’m done with The Savage Detectives! I think the clunkiness you highlight is a symptom of early-career work. Later novellas such as Worstward Ho are extremely tight. There’s also much improvement by Watt and certainly in Malone Dies and The Unnamable. I liked that ‘cage’ idea. Not sure if I’d like this though. I see you are reading Drive. Now that should be a contrast. First thought when I read the opening sentence of the book. “Sounds like the first sentence of The Stranger” Then you mention Camus. Your review is excellent. Wasn’t Murphy first written in Frenci h? It would be interesting to compare the two versions. I didn’t know you could say “mordant” in English. I have never read anything else by him than Godot. I just had a look and realized for the first time how much he has written. I find it suprising that you write he wrote better novels later, maybe but Murphy is the best known of his novels. Or perhaps only in non-English speaking countries. I’m not sure at all i would like it, the choice of words seems so dry. It could be I’m completely wrong but it seems what is interesting in his writing is the structures of the sentences, verbs, not nouns. It’s certainly not lyrical. I’m in the mood for lyrical right now. Love that first line. Love the first paragraph. Just the sort of writing I like – apparently spare but loaded nonetheless. BTW A breve is a very long musical note, and a tied one (I think) is even longer! I’ve never studied music but have sat in on many music lessons! Does musical imagery run through the book? Like Caroline I’ve only ever read Godot … but clearly I should read one of his novels. I first discovered Beckett when I was nineteen – an Open University performance of Waiting for Godot at some unearthly hour in the morning – and I was hooked. I watched the repeat the next day – no video recorder back then – and even made my wife get up to watch it with me. Since then I have read, watched and listened to everything he ever did and I have copies of all his writing, videos and DVDs of his stage plays and even CDs of his radio plays. The amount of material written about him is astounding and one could spend one’s entire life studying him. Murphy was the first novel I read, not long after watching that performance, and I’ve read it a couple of times since. It is probably the most accessible of his prose works. Prior to that he was too much like Joyce for my tastes. I personally think the best way into Beckett is through his plays and although Waiting for Godot is the best known I would go for Krapp’s Last Tape first. Pozzo: (suddenly furious). Have you not done tormenting me with your accursed time! It’s abominable! When! When! One day, is that not enough for you, one day he went dumb, one day I went blind, one day we’ll go deaf, one day we were born, one day we shall die, the same day, the same second, is that not enough for you? (Calmer.) They give birth astride of a grave, the light gleams an instant, then it’s night once more. Essentially, Breath is a dramatisation of this. Interesting comparison to Godot. Of course the form plays a role in the “more / less” balance between the 2 works. It’s years since I read this (in college) but you are right about his later books being stronger. I think even here though you get a clear sense of Beckett’s unique and uncompromising sensibility. It’s interesting how steeped in the formal aspects of music both Beckett and Joyce were. That’s something that (my impression anyway) is much less common nowadays. Emma, I don’t think Murphy was written first in French. I’m pretty sure Beckett started writing “originals” in French only after 1945. You’re right Leroy, the French Wikipedia is confusing on the matter. He wrote it in English and then translated it into French. I’d still be curious to compare the two versions. For example, The Ski Bum by Gary was written in English first. When he “translated” it into French, the French version became very different from the English one. I realise I’ve seen Fin de partie (Endgame), enjoyed it but can’t remember at all what it was about. Sorry for the slow response folks. Firstly, thanks for the various kind comments. This was, as you might imagine, a tough piece to write. Lee, a superb opening absolutely. Tomcat, that sounds like another attempt to find a way of expressing nothing in a meaningful way. Having read but one book and seen one play I can’t comment much further, though if I were in the audience I would hope not to have paid too much. It sounds more a concept than something one would actually perform much. Martin, I understand that you’re right about the clunkiness being an early career issue. A Bolano fan eh? I remain as yet untempted, but perhaps I should reconsider. Guy, I picked Drive as a contrast. As you guessed, I loved it. The cage, like much here, is an amusing observation and one that carries undertones of futility and despair. Beckett seems big on despair. Emma, the Camus link suggested itself to me as so much here seemed absurdist. That said, it only became really apparent to me when I put that quote down on paper (screen more accurately). That’s partly why I blog in fact. The act of blogging makes me find things I otherwise likely wouldn’t spot. Caroline, best known perhaps because it’s early and perhaps because of that incredible opening line. Generally agreed not to be the best though. I knew that and it lets me build towards his better ones. It’s about as unlyrical as lyrical could get. If you dig around in my categories you’ll find Maalouf, Amin. Check that one out. I think you might well like it. Not this though. Anyone in a lyrical mood would find it positively unenjoyable I think. WG, spare but loaded, nicely put. Thanks too for the musical explanations. As I said, it’s packed with references. Some you get, some you don’t. To stop and check each one though would destroy the flow, so I accepted that there woud be times I was simply lost and that was one. The sense though is clear from the paragraph even if the precise words weren’t to me. Stu, I’d be delighted to see your thoughts. Leroy, good point on the form. A unique and uncompromising sensibility. Absolutely on both. The formal aspects of music will continue to prove a challenge for me, with Beckett and when I go back to Joyce (after a gap of many years) too. Jim, you got caught subject to approval for some reason. Sorry for that. The most accessible? God help me going forward for I wouldn’t call this accessible. Exciting though, and accessibility is far from the only virtue a book may have (I do think it a virtue, but a virtue often worth sacrificing for other virtues). The link to the article on Breath is very useful. Described as there it actually makes a lot of sense. Oh, on staying up late, I once stayed up to 4am watching Tarkovsky’s Solaris. No VCR. I had work the next morning. I was comatose throughout what proved a very long day. Worth it though. There is something so marvellous about art that makes us respond like that. That’s worth inconvenience. Inconvenience is no large thing, but it’s surprising how few works most of us are happy to be inconvenienced for (including me). Yes, I agree … you can’t check every reference when you are reading and still “feel” the work as a whole … and anyhow, if you don’t know the reference you may not even see it to decide whether or not to look it up! As for the “breve”, the sense is as you say perfectly clear … sign of a good writer. It makes sense without knowing the reference but if you know the reference you get the extra little fillip. This is an excellent review of this novel. Your sense that Beckett rather overdoes all this is true, I think. The general sense is that he was still in thrall to Joyce, before abandoning that way. Watt is where he begins to come into his own. That said, I love Murphy (though, in reference to Caroline’s comment, I’m shocked to learn that it’s his best known novel anywhere at all. Surely that’s Molloy.). 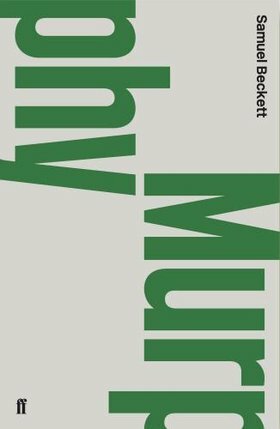 If you can, I recommend Hugh Kenner’s A Reader’s Guide to Samuel Beckett. It’s short, witty, and helpful. Very much worth tracking down. How annoying with that para. Now I wonder what else wasn’t quite how I meant to leave it. I’ve added some words in, though perhaps I should have cut some out. That might have worked better and would certainly have been more Beckettian. In thrall to Joyce makes sense, though I need to read more Joyce to make that connection myself. I’ll check out the Kenner. Short, witty and helpful are valuable traits and I can see that help with Beckett could be very useful. Forgot to say Richard, did you see that I’d reviewed some Josipovici? I’ll read your thoughts soon. I should clarify my reference to Joyce, and Beckett’s thralldom. That’s the accepted line, I believe. Both Josipovici and Kenner note it, and it shows up in his letters and Knowlson’s bio. I, however, have not read much Joyce myself, only Dubliners and Portrait of the Artist. I want to read Ulysses but have yet to take the time. I’ve printed them off Richard. I’ll hopefully get to read them this weekend (long hours at the moment). It amazes me how many people try to start with Ulysses. Incredibly unwise I should think. I fear that this one would defeat me before I started it – just the thought of Beckett. However, I have read so little of him I’m hardly qualified to hold an opinion and your review certainly brings out more than I would see in it I think. I had to look up the word Mordant – I’d only heard it in the context of dyeing. Mordant I knew, but plenty of others I didn’t. I’d start with a decent production of Waiting for Godot if you haven’t already. It is very good. Apparently it’s seen as embarassing to admit one hasn’t seen it, which is silly. I saw it for the first time last year and it hadn’t occurred to me to feel bad about not having done so before. It was bloody good though so worth making the effort for. An excellent review. I think your spot on about the Joyce influence and the flaws, such as they are in a writer of Beckett’s calibre. I’m a big fan of Watt. In fact, I’m pretty much a fan of everything he wrote. The Trilogy is a remarkable work, not sure if you’d call them novels, perhaps (because of their length) monologues that are impossible to perform. Yes, the flaws hardly diminish the considerable achievement. I mentioned under the Musil some books being daunting. I do admit I am somewhat daunted by some Joyce. All the more reason to read him though I suppose. There’ll definitely be more Beckett in the pipeline, but I wonder if I should grapple with more Joyce first. Nice review Max, it’s never easy to write on Beckett but you’ve handled it really well. As for the early Beckett being in thrall to Joyce, it’s fairly accepted. He was kind of a disciple of Joyce’s at the time, hanging out with him in Paris, doing research for his Work in Progress (Finnegan’s Wake) publishing a long essay defending Joyce’s work, and even rebuffing the advances of Joyce’s daughter. He’s still going for a sort of self-consciously clever Joycean high style at this point, and it’s still pretty loaded with the sort of symbols and arcane references of which Joyce was so excessively fond. For me Beckett gets really fascinating when he starts striking out in the opposite direction and starts deconstructing rather than embellishing (he famously states that whereas Joyce’s talent was for addition, he realised his was for subtraction). The Trilogy is amazing because it is essentially a three-part assassination of the novel. I couldn’t recommend it more. But that said, a lot of the ideas that underpin the later work are there in Murphy and you still have the sort of stylistic luxuries that are cast aside in the later works after he starts writing in French. I think Murphy’s also maybe the funniest book he wrote – certainly the most slapstick. What an excellent review. Thank you!